Well, folks, here we are. 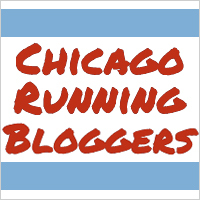 Another Chicago Marathon season is upon us. This is my fifth consecutive marathon season, which I would prefer not to discuss because that makes me feel both old and crazy. Never, ever, in a hundred million years, when I set out on my first marathon training run in 2013 did I expect that I’d still be doing this five years later. I never went into marathon training expecting to be one and done, but I also did not at all realize that marathon training would come to be such a major part of my life. I feel like I exist in two states: marathon training and the off season, one of which rigidly controls my life for 18 weeks, and one of which lets me sleep in as late as I want on Saturdays (guess which one is which?). Regardless, I do really enjoy marathon training–I certainly enjoy it more than marathon running, let me tell you!–and I’ve been looking forward to this for quite some time. I went to his website, and it turns out he had created an Marathon 3 program. Hooray! At long last, I could actually follow a marathon training plan instead of taking what CARA gave me and completely rewriting it to fit what I wanted! When I looked into the M3 program, though, my hopes and dreams of a perfectly followed marathon training plan evaporated. M3 lasts 24 weeks (lolnope), calls for three 20 milers (LOLNOPE), and, most problematically, did not match up with the long run mileage for Novice 1, which is what CARA–and thus my CARA group/friends–follows. After never running the same mileage as my group last year, I was really looking forward to sticking with them this year, and didn’t want to have to do a bunch of miles on my own again. So, I took to Excel and started doing some math. I put in the M3 plan, the Novice 1 plan, and a combined M3/Novice 1 plan, where I’d follow M3 mileage/training on the weekdays and Novice 1 training on the weekends. To my great delight, I discovered that my combined plan averaged 1.8 fewer miles/week than M3 as written, and only .61 fewer miles per week than Novice 1 as written. That adds up to 32.5 fewer miles compared to M3 as written over the course of the entire training program (about the equivalent of one high mileage week), and only 15 fewer miles (the equivalent of one of the lowest mileage cutback weeks) compared to Novice 1 as written over the course of the entire training program. That difference seemed so insignificant to me in the grand scheme of things that I decided my combined plan would be a worthwhile approach for training this year. Because M3 is 24 weeks long, and 24 weeks before the Chicago Marathon just so happened to start the day after the Illinois Half Marathon, when my half marathon training ended, I decided I’d follow the first six weeks of M3 as written and call it “base building.” I got off to a rough start, being sick with a nasty cold in week two, but since then I’ve been right on track with my training. All of this mileage is made up in weekday miles, and while I don’t think the plan is entirely unreasonable, it is a little worrisome that I never run fewer than four miles on a weekday during training (not including taper), and I only run four miles twice. I’m not wild about running long distances on weekdays just because it takes so. much. time. when you’re running a 10:30 or slower (probably slower, as the weather heats up) pace, and that’s a lot to handle after work twice a week. But…it is only twice a week. The plan does call for three weekday 10 milers, so we’ll see what happens with that. In four seasons of marathon training, I’ve only ever convinced myself to do a weekday 10 miler once, and it was on a day I wasn’t working, so going into this expecting to run three weekday 10 milers in one season feels…a bit ambitious. Though maybe when you’re routinely running seven or eight miles on a weekday, 10 won’t feel quite as long. One other big change I’m making this year is in my cross training. For the past two seasons, I haven’t followed any specific plan for cross training, other than “find a yoga video on YouTube on Sunday” and “do an NTC workout on Thursday.” This time, I have prescribed amounts of time I should be spending on cross training, and on Sundays, it’s a lot of time. Like, more than an hour, every single Sunday lot of time. Because I don’t think I can do any one activity other than running for more than an hour, I’ve decided my Sunday cross training sessions will be split in two: half on the bike/elliptical, doing very easy cardio, and half doing strength training (ideally really focusing on strength, not HIIT and calling it strength because I have to do two pushups in 45 minutes). I’m a little nervous about this for a two reasons: 1) I do my long runs on Saturdays, which is why I’ve always done yoga on Sundays: to recover and 2) my longest weekday runs are on Mondays. I could, I suppose, switch them to Wednesdays, but that means all of my speedwork will be on Mondays. I’m not against doing speedwork on Mondays, but if my concern here is fatigue and soreness, I’m not sure that doing speedwork is going to be any easier/more effective than a long, easy run. Lately, I’ve been pretty sore in the days following strength training, but I think that’s because of how hard I fell off the strength training wagon in April. I’m hoping that if I get into a routine, I won’t be as sore the next day, and these Monday long(ish) runs won’t be totally unreasonable. I’ll probably play things by ear, and if I need to switch a Monday and Wednesday run, so be it. The M3 plan calls for a rest day on Monday, running on Tuesday, cross training on Wednesday, running on Thursday, a rest day on Friday, the long run on Saturday, and cross training on Sunday. Because of my Tuesday dance classes, that’s not a viable option for me, hence shifting everything forward a day (run on Monday, cross train with dance on Tuesday, run on Wednesday, add a day of cross training (always and only yoga) on Thursday, rest on Friday, long run Saturday, cross train Sunday). Another option would be to do easy cardio for half the time on Sunday and yoga for the other half of my time on Sunday, moving strength training back to where I’ve usually had it on Thursdays. Right now, I just have “XT” on my schedule for all Thursdays and Sundays, which hopefully will allow me to feel flexible in what I decide to do those days. So that’s the plan for this year! I’m really, really excited about the training schedule I’ve put together and am super curious to see what kind of results it yields. Whoo hoo! Training time is HERE! Best of luck! It is really hard to work strength training into a high-mileage marathon training program. The best suggestion I’ve heard is to do it on the same days that you run, so that your recovery days can truly be about recovery. I know a lot of people who actually combine speed work and strength training, which sounds masochistic but then allows their easy and recovery days to be easy. Doing strength training on the days I do speedwork would really be the only at all logical day to do it, because those are my shortest workouts so I’d have the most free time on those days (as opposed to easy run days, when my runs will all take me at least an hour to complete). Location would be an issue, though, if I tried to do that. I’d either have to finish my run at the gym, go to the gym before or after I run, or only do strength training with the equipment I have at home, which isn’t much (two 5 lb. dumbbells and two 10 lb. dumbbells). Obviously I’m not trying to get ripped during marathon season, but I do want to use appropriately heavy weights to build at least some strength, and while 10 lbs. is more than enough for some things (flys, for example), it’s definitely not enough for things like deadlifts or other leg-related exercises. We’ll see how things shake out, I guess. If there’s anything I’ve learned from the past four years, it’s that my laid-out plans rarely go perfectly, so I’m willing to be flexible to find out what works best as the season goes on! Oooh I might steal your plan hack. I’ve been running 3x per week lately and that seems to work for both my knee and my desire to do regular yoga, strength and weight lifting. And I’m kind of unofficially marathon training (haven’t bought a bib and don’t want to commit to a charity). I didn’t realize Hal had 3x per week plans. That’s good to know! I usually just drop one of the shorter weekday runs. By all means! I could even send you my entire schedule if you want to see how I broke it all down. I feel so much better about training this year than I have in the past, and I’m really looking forward to seeing how this all plays out on marathon day.